Capture the spirit of Beijing in a 2-day shore excursion. Enjoy a private and comfortable Tianjin Cruise Port to Beijing round-trip transfer, explore imperial life in the Forbidden City with your personal guide, and walk along the less-crowded Mutianyu section of the Great Wall. This 2-day Great Wall and Forbidden City tour is private. 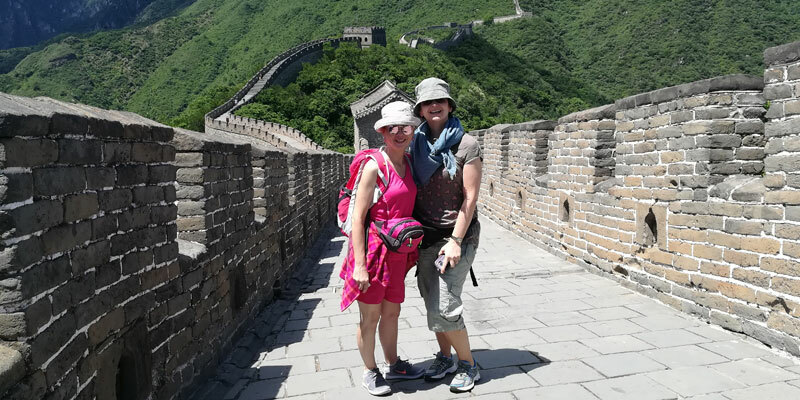 Your personal tour guide and private car will enable you to discover the two most famous must-see attractions in Beijing at a comfortable pace. to make the most of your time, your guide will respond to your requests. Don&apos;t worry about wasting time. Your well-designed tour will be perfectly customized according to your schedule. Walk on the authentically restored Mutianyu section of the Great Wall. Enjoy fast and comfortable private transfers between Beijing and Tianjin Cruise Port. We took this shore excursion arranged by China Highlights with Eric Gu as our guide. This was the best tour during our trip to China. Eric spoke excellent English and he was very knowledgeable about the history and details of all the places we visited. Tianjin Cruise Port transfer: Your private tour guide will wait for you in the arrivals hall, holding your name on a placard and a China Highlights sign. Don&apos;t worry if you are late. Your private tour means you don&apos;t need to fit in with others&apos; plans, and your guide will be waiting there till you show up. 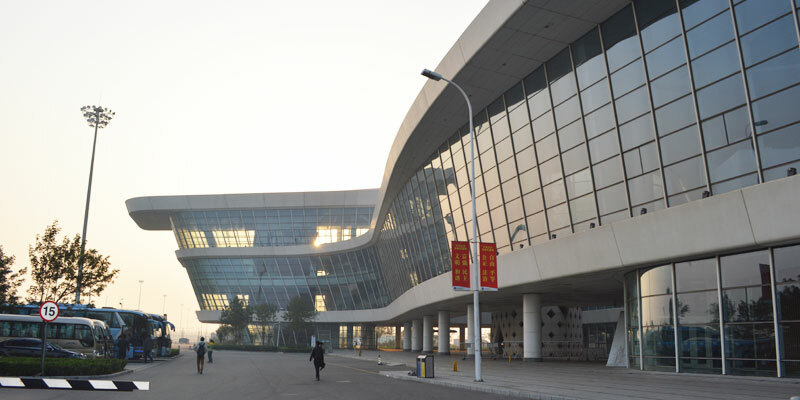 The journey from Tianjin Cruise Port to Beijing city center is about 2½ hours. Feel the spirit of China in Tian&apos;anmen Square with the help of your guide&apos;s expert insights. Your guide will help you find the best places to take photos. 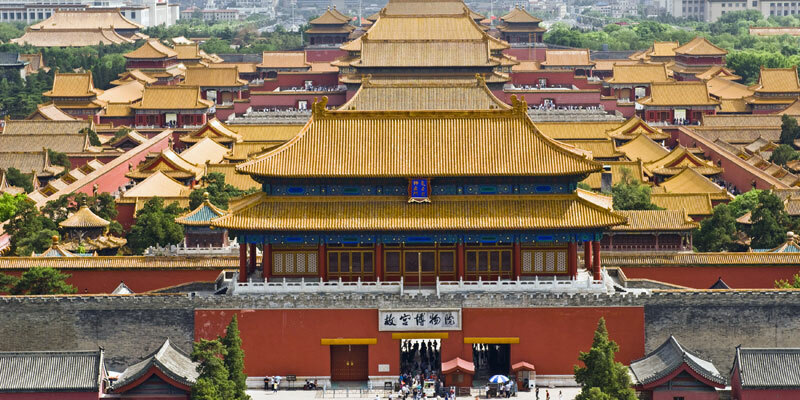 Be amazed at Beijing&apos;s spectacular former imperial palace. The Forbidden City was home to 24 emperors in the Ming and Qing dynasties (1420–1912). This "city within a city" is a UNESCO World Heritage Site and is the largest and best preserved ancient imperial architectural complex in the world. You don&apos;t need to wait in a line for the tickets at the entrance, as we will book them in advance to save your time. You will tour the palace for about 2 hours on a 2-kilometer walk that is graded as being easy. Your guide will accompany you to give a background introduction to the architecture, history, and art of the city. Your private tour means flexible arrangements. Your guide is willing to respond to any reasonable requirements from you, such as staying longer or shortening your time at any stop. Your guide will find the best tour route according to your interests and needs. After the breakfast, meet your guide in the hotel lobby. The Great Wall at Mutianyu: This section of the Great Wall is about 2½ hours&apos; drive from downtown Beijing. In order to save your time and your energy, we will arrange a cable car to take you to a good section (avoiding a very steep climb), where you can walk along the wall, through the watchtowers, and enjoy superb views of the wall snaking along the mountain ridges to the distance. Your personal guide will walk with you on the Wall to give you historical information, and to help you take photos with the Wall. You will have some free time to walk around after that. You can return by cable car, walk down, or walk along the wall for about an hour to descend by chairlift. Beijing to Tianjin Cruise Port transfer: The transfer back to Tianjin Cruise Port is included and you will arrive at the port at about 4pm. If you need to arrive earlier, your guide will be happy to adjust the timing according to your need. 1. Depending on the different ships, we suggest you disembark as soon as possible to enjoy more time visiting Beijing. 2. We understand cruise travelers might have more luggage. Please let us know how many pieces you will have. We will arrange a vehicle accordingly. 3. This itinerary is not fixed. We are happy to customize your Beijing tour from Tianjin Cruise Port. If you would like to visit some other sites or you have more days for this excursion, your travel advisor will design a trip according to your interests and exact schedule. 1. Our tour guides, drivers and staff will arrive at Tianjin one day ahead of you to avoid fatigue driving and ensure your safety. 2. Easy to find China Highlights as all tour guides stay together with banners. During pick-up, China Highlights tour guides will stay in front of the exit and make sure you can see us immediately. 3. Our local tour guide will introduce Beijing to you on your jounrey (about 2 hours), including background of Beijing and China, some dos and don&apos;ts on travel and night shows. 4. Our car is licensed and registered with Beijing Tourism Administration. The driver will be familiar with the roads and routes to all destinations and restaurants, and the car will be equipped with Wi-Fi and a device that you can use throughout Beijing. For the past decade, we have insisted on recycling our tour vehicles every four years, so that we are certain that the vehicle you will be taking is less than two years old. Most importantly, each of our vehicles is insured, and has 50,000 CNY coverage for each passenger.